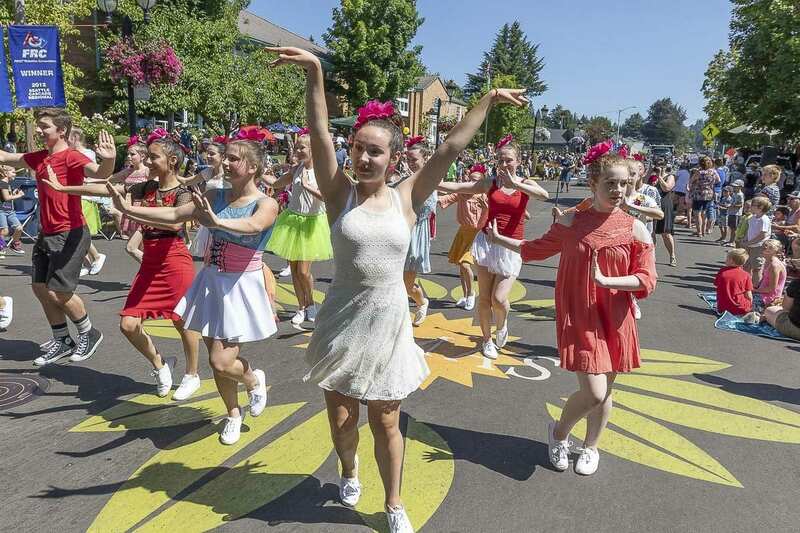 CAMAS — Weather nearing 100 degrees wasn’t enough to slow down the crowds over the weekend at the 2018 Camas Days celebration. 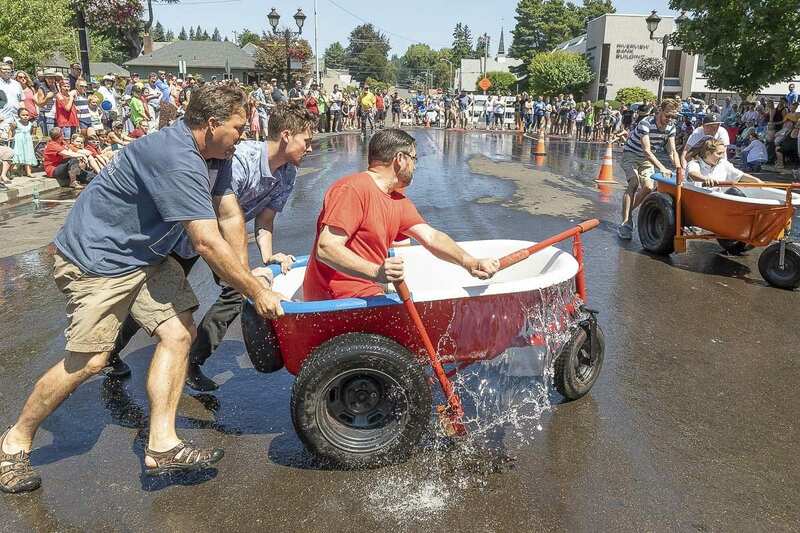 The theme of this year’s celebration was “Celebrating Papermaker History.’’ The annual community festival included events spread out over four days — covering Thursday through Sunday. 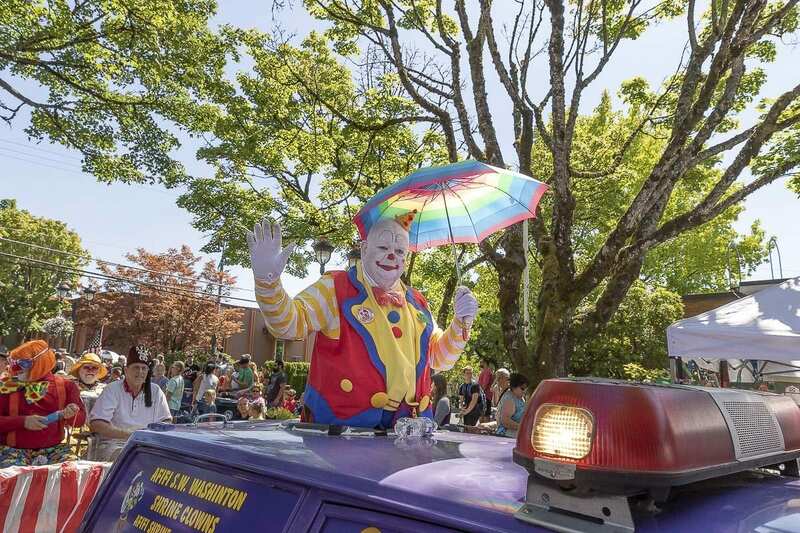 The biggest day of the celebration was Saturday as area residents flocked to downtown Camas for the annual parade, bathtub races, vendor booths — consisting of food, jewelry, art, clubs and service organizations — and a Kid’s Street set up on Dallas St., which included bounce houses and a rock climbing wall for the youngsters. Camas United Methodist Church hosted a blueberry pancake breakfast Saturday morning and those in attendance also enjoyed food booths throughout the day featuring food from all over the world, as well as classic, festival favorites. Later on Saturday evening. A Toast of Camas: Wine & Microbrew Street was offered as well as a steak feed at Grove Field. The Camas Library conducted a book sale Friday and Saturday. On Sunday, an ASA sanctioned softball tournament took place throughout the day as well as an open house at Grove Field and a Ducky Derby on the Washougal River, hosted by the Camas-Washougal Rotary Club. My Happy Pill, a high energy funk pop band, had a concert in the park on Thursday evening at Crown Park. More live music was offered Friday evening at A Toast of Camas: Wine & Microbrew Street including The Beth Willis Band and Wise Guys.